The GLCC Fairbanks is proud to be a community-engaged church! We believe that Jesus intended his church to have a tangible impact in the communities in which it resides. We strive to make our community a better place for all. Check out our community partnerships below and Contact Us to get involved in changing our community alongside us! The Boys and Girls Club of Fairbanks provides a safe place for Fairbanks’ youth to build friendships, have fun, learn, and grow. GLCC Fairbanks is glad to serve at the Boys and Girls Clubhouse regularly! 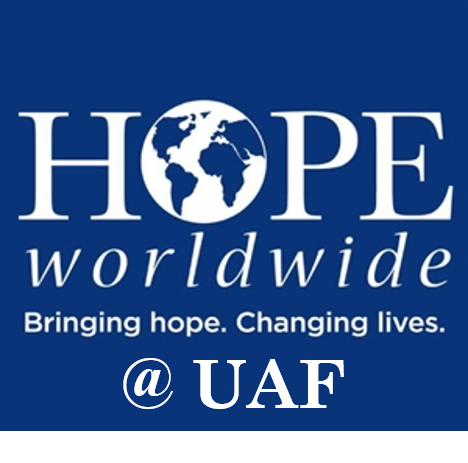 HOPE worldwide at UAF is a student organization dedicated to changing the lives of people who are materially poor or in need in the Fairbanks area by harnessing the compassion and commitment of dedicated volunteers to deliver sustainable, high-impact, community-based services. HOPE worldwide at UAF is a student organization affiliated with HOPE worldwide, an international charity. The Gateway to the Arctic Camp is an agricultural camp located in Talkeetna, Alaska, whose vision is to see a world where people of all abilities can live meaningful lives. Gateway to the Arctic provides a variety of camp programming, including programs for those with special needs, and also has built a empowering supported employment program that provides meaningful work for special needs employees. GLCC Fairbanks is proud to be able to support Gateway to the Arctic!